Warning – the ADHD bipolar disorder connection is confusing and complex. The difference between bipolar disorder and ADHD can be surprisingly difficult to diagnose. This is because some ADHD medications are very stimulating, AND can trigger mania and make bipolar people worse! teens or in the 20s. mainly found in male children who lag in developing impulse control. Although there is much confusion and some clinical overlap, ADHD and Bipolar Disorder are very different conditions. Unlike Bipolar Disorder, ADHD is a is classified as a disruptive behavior disorder. connection is to understand the math. ADHD affects 3% – 5% of children. chance in 1000 that it is bipolar disorder! This is difficult to generalize about and requires clinical evaluation because just as there are various forms of bipolar disorder and mania, there are also various forms of ADHD. The ADHD Bipolar Disorder differences and similarities really are complex and confusing! 1. Restless: This is the notorious “hyperactivity” of ADHD. Lots of motor activity – a seeming inability to “sit still”. Not only is there a constant stream of talk, but it may have little to do with what others present are talking about or are interested in, and may often be inappropriate, hurtful or poorly constructed “streams of consciousness”. Reckless behavior and poor judgment are common to both disorders. This impulsiveness may manifest in excessive spending, substance abuse, hyper-sexuality or dangerous driving – to name but a few. We often think of ADHD being characterized by a low tolerance for frustration and impatience. However, often the stereotype of the manic person is “the life and soul of the party” – up all night, dancing, talking and socializing. However, mania often takes the form of irritability, anger or even rage and this can look a lot like ADHD. How can I recognize the ADHD Bipolar Disorder difference? It is always a good idea to consult an expert, but here are some useful rules of thumb. 1. No matter how chronic or chaotic their behavior is, it is a constant pattern. Bipolar people CYCLE – it is the episodic nature of the disorder that distinguishes it. 2. ADHD people may have trouble getting to sleep, but do eventually go to bed at night. Bipolar people in a manic episode may skip sleep completely, sleep very little or sleep at odd hours. 3. ADHD people tend not to experience the “highs” of bipolar people such as extremely happy moods that are often described as “expansive” or “euphoric”. With ADHD it is possible to have periods of “hyper-focus” and be ultra-productive, but this is different to the manic certainty of the bipolar person believing they can achieve whatever pops into their head. It is difficult to distinguish ADHD from bipolar disorder and consulting a qualified professional is by far the wisest course of action. Understanding the ADHD Bipolar Disorder connection – Why does it matter? Most ADHD medications are stimulants. These can trigger mania in bipolar people, making them worse. This is a major reason for always carefully investigating the issue and becoming informed about bipolar disorder vs ADHD. Ideally consult with a board certified psychiatrist who is familiar with the full range of medications AND with with both bipolar and ADHD. Regardless of the label, there are non-drug based interventions that work equally well for both bipolar and ADHD. Natural supplements such as omega 3 fatty acids, folic acid and inositol all nourish the brain and will benefit both disorders with no dangerous side effects. Another effective and natural remedy that may be effective for both is a homeopathic, non-drug, natural form of lithium salts such as lithium orotate. There is a high coincidence of creativity and higher than typical degrees of talent amongst both bipolar and ADHD people. This is the upside to any ADHD Bipolar Disorder connection. Discover more about the bipolar and creativity connection. Regardless of whether an individual is bipolar or ADHD, or both, that person will often show high creative aptitude. These gifts may help them to become happy and successful in life. However, if these same gifts are frustrated, stifled or inappropriately medicated, then the person may experience much unhappiness and even some serious mental and physical health risks. My own life improved dramatically when I began to understand that there is a blessing as well as a curse in being a person who “thinks outside the box”. 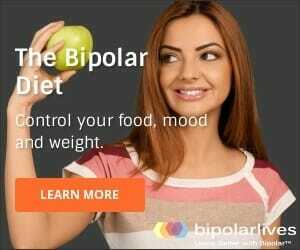 Today, leading bipolar psychiatric experts such as Ronald Fieve MD are suggesting that some forms of bipolar are beneficial.